When a cold front rolls in and the first snowflakes begin to fall, it’s time to bundle up. With a down or down alternative comforter in a heavy duvet cover, you can stave off the worst of the winter chill and save money on your heating bills. To learn more about down alternative comforters, check out our guide on the Best Down Alternative Comforters for Winter. To stay as cozy as a bear in hibernation, pair your comforter with soft flannel or sateen sheets. Some spare fleece blankets or faux fur blankets may also be necessary for particularly cold climates. Keep these extra comforts in a basket near your bed to guarantee that warmth is always within arm’s reach while you slumber. To combat the drab melancholy of the winter landscape, dress your bed in rich colors like maroon, navy, and cherry red. If you expect to have houseguests staying with you for the holidays, you can also dress your spare beds with fun holiday-themed bedding sets to capture the spirit of the season. As soon as the snow starts to melt and your garden shows signs of life, you can put away your heavy comforter and spread a light cotton quilt over your bed. It’s important that you properly store your winter bedding for the season, though, or it might not be ready to use when the air turns cold once more. To get helpful tips for proper storage techniques, read our guide on Bedding Storage. Of course, just because spring is in the air doesn’t mean that cold isn’t. You should still keep a basket of extra blankets beside your bed for chilly April nights. Depending on your climate, you may want to leave thick sheets on your bed for a few more months. However, if you live somewhere warm, you can swap your sheets out for more breathable linen or cotton options. If you experience springtime allergies, check out our Tips on Choosing Hypoallergenic Bedding and avoid those nighttime sniffles. Lastly, springtime means color, and your bedding should reflect the vibrant shades of the season. Set aside the rich darks of winter and opt for cheerful pastels and floral patterns that bring the flourishing beauty of nature into your home. After April showers give way to June heatwaves, thick blankets and sheets won’t cut it anymore. You need something lightweight and breathable to stay comfortable on sweltering summer nights. For most climates, a light cotton comforter is perfect for keeping your body cool and your power bills low. On some nights, you may still end up kicking off the comforter and sleeping under your flat sheet. Speaking of sheets, moisture-wicking options made from materials like Egyptian cotton, linen, and bamboo are recommended for weathering hot and muggy nights. Some people tend to get hotter while they sleep, while others go to bed hot but wake up chilly in the middle of the night once the AC turns on. If you belong to the second group, keep a nice cotton blanket near the bed that you can throw on and quickly get back to sleep. When choosing the colors for your summer bedding, opt for lighter hues that won’t absorb much heat. White, yellow, baby blue, and delicate shades of green work best. 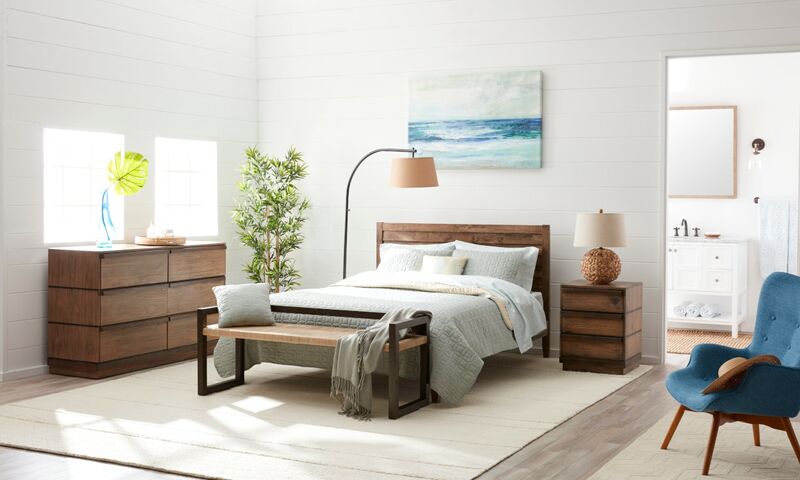 You can read more about the best bedding for summer in our Summer Slumber Guide and our step by step tutorial on Outfitting a Bed for Summer. 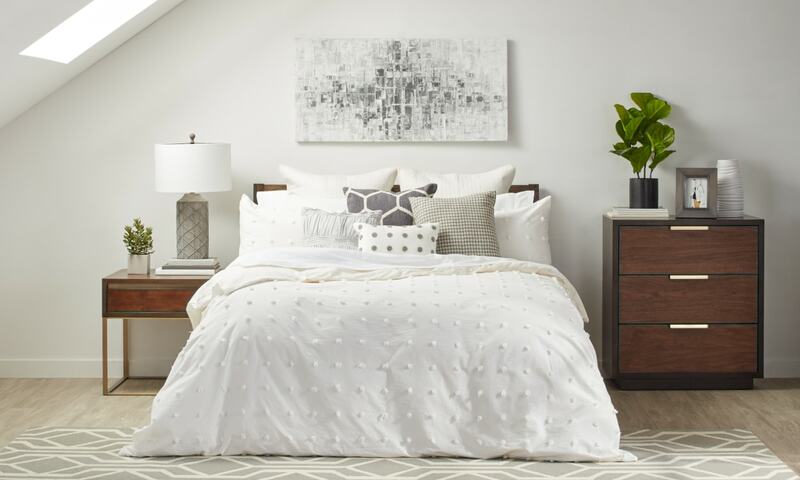 Fallen leaves and pumpkin spice mean it’s time once again to begin dressing your bed for warmth. As the nights grow longer and colder, you’re going to need cozy blankets, sheets, and throws to stay comfy. However, it might not yet be time to break out the same heavy bedding you’ll use in the dead of winter. Instead, opt for a knit cotton blanket that will retain warmth without getting too hot for your early autumn nights. If the deep cold comes early, you can also swap in some sateen sheets and thick toppers. Complete your fall bedding arrangement with a thick throw folded across the foot of your bed to keep your feet warm without causing you to overheat. Autumn’s colors are some of the most fun to decorate with. When selecting fall bedding, take inspiration from the leaves blowing around outside your window and find blankets and sheets in warm shades of orange, gold, brown, and dark red. For more tips and inspiration for fall bedding, you can check out our guide on Decorating a Bedroom in Autumn. Not everyone feels the need to swap out their bedding four times a year, but if you often wake up too hot or too cold at night, it’s probably because you have the wrong comforter or sheets for the weather. Now that you know how to dress your bed for each season, you can sleep comfortably no matter what time of year it is. To learn more about seasonal bedding, check out our guides on the Best Bed Sheets for Every Season and the Best Duvet Covers for Each Season.